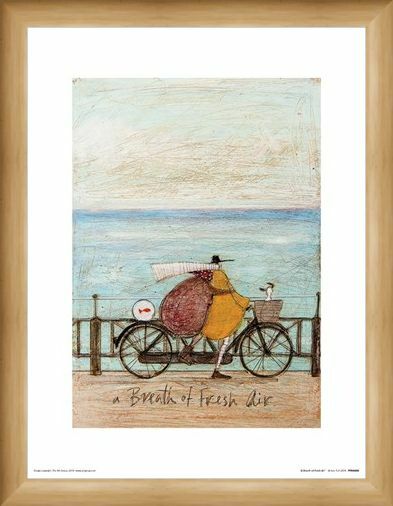 Out for a breezy, coastal bike ride, Mr and Mrs Mustard stop for a quick breather and to enjoy the picturesque ocean vista, whilst Doris and their fishy friend perch patiently, waiting for the off. 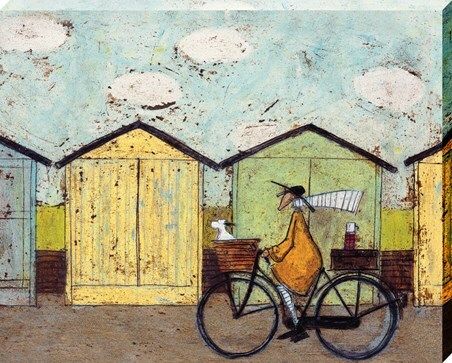 Using oil crayons and a unique scraping technique to bring life to her works, Sam Toft's whimsical characters have become collectables across the nation, decorating the walls of many a home. 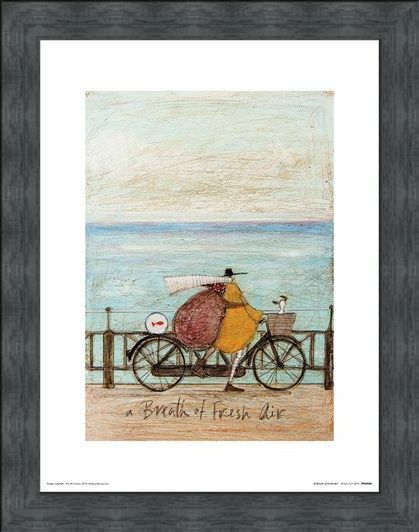 Titled 'A Breath Of Fresh Air' this simply beautiful print is a great reminder to us all to stop and take in our surroundings every once in a while and a must have piece for the true collector. 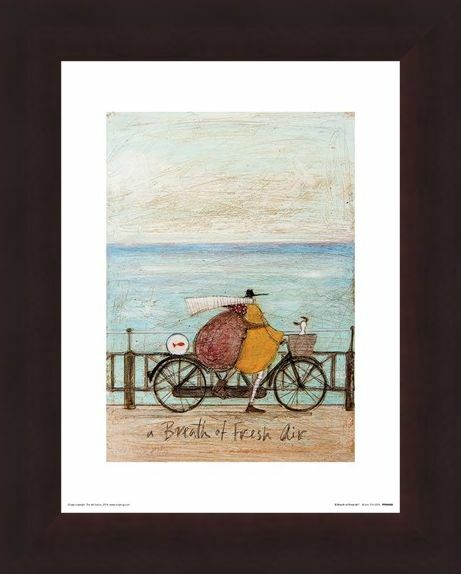 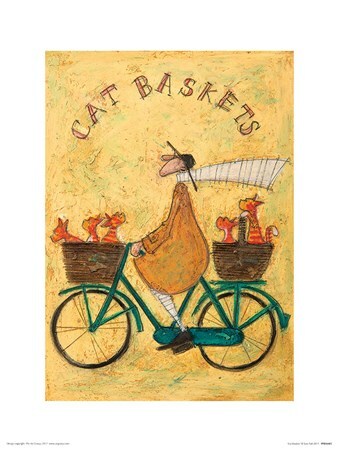 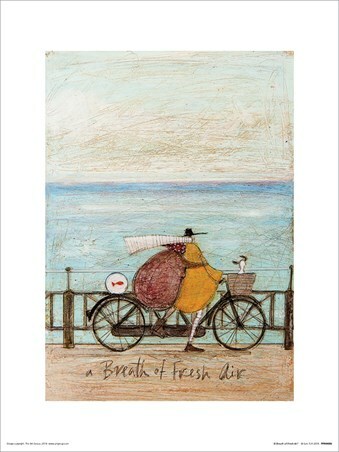 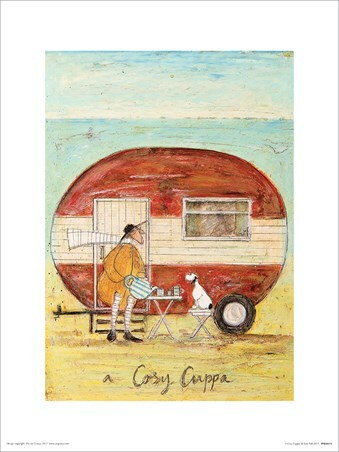 High quality, framed A Breath of Fresh Air, Sam Toft print with a bespoke frame by our custom framing service.